Here is my kitty “Lucky”in my work space. 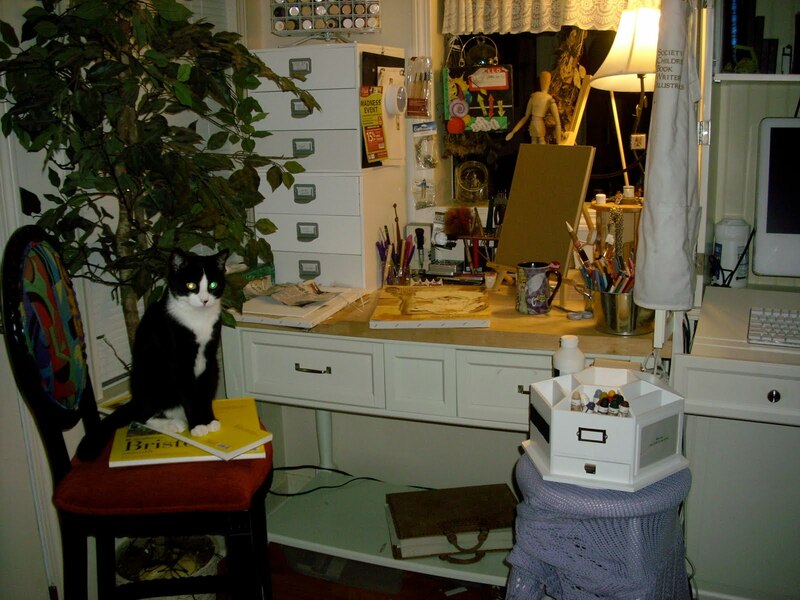 This is my art studio where I can play with paint, chalks, embellishments, and anything else I think of. I want to let you know more work is coming and it will be VERY soon. Selling a painting tends to get you motivated to make more! Thanks for reading and check back soon, I have a new one to post here before I put it up for sale at my etsy store . Previous Post Finished 2 of my Paintings and Sold One!